Congratulations to Andrew and Amanda! What a fun wedding! We met Amanda and Andrew last fall, and were very happy to photograph their wedding. Their fun personalities and classic style shine through in their pictures. We loved Amanda's "something blue" - handwritten messages from her bridesmaids, mother and mother-in-law on the bottom of her wedding shoes in blue ink; what a great idea! 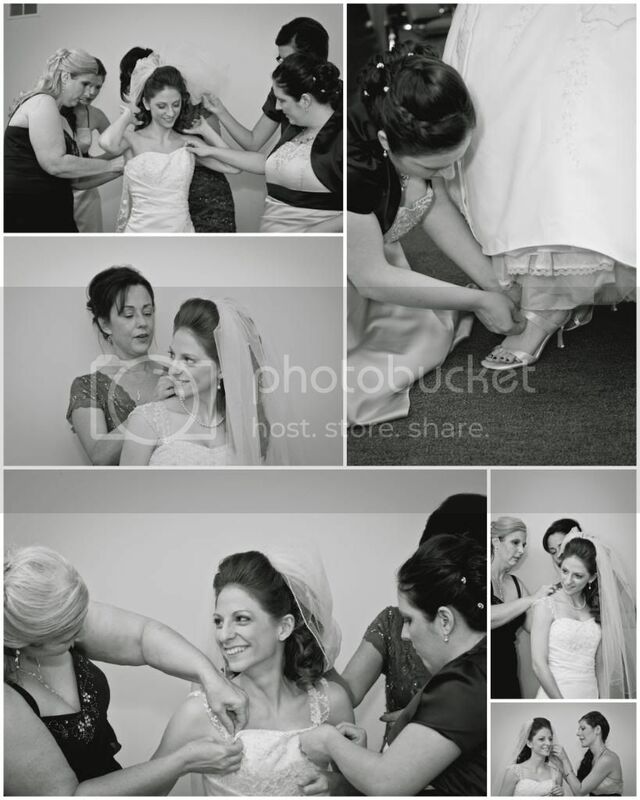 Amanda's team helped to get her all ready for her wedding. She commented that she didn't put anything on herself - now THAT's what a team of bridesmaids are for! Heck yeah! 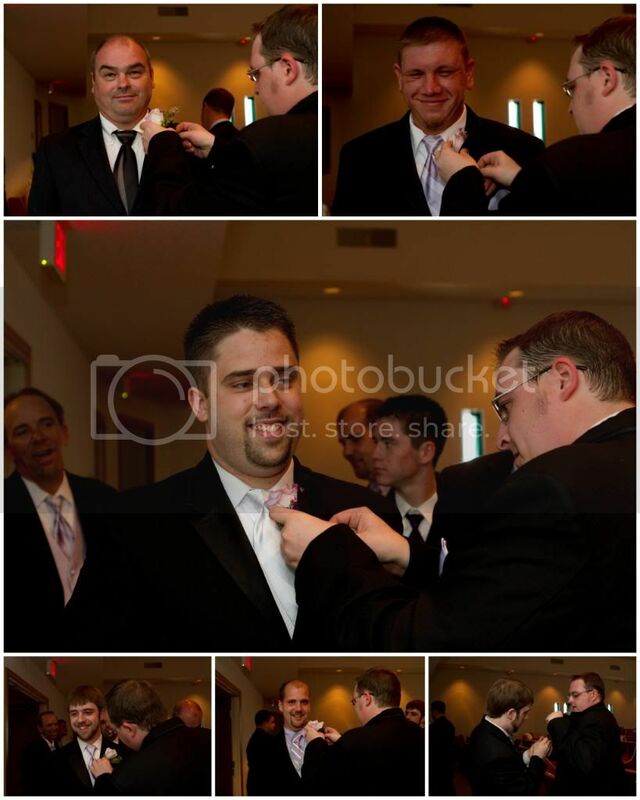 One of the most remarkable things about this wedding, was that the groomsmen required no help with their boutonnieres. They googled the best way to do it, and did it themselves! Go, guys! You did a great job! The ceremony was beautiful! 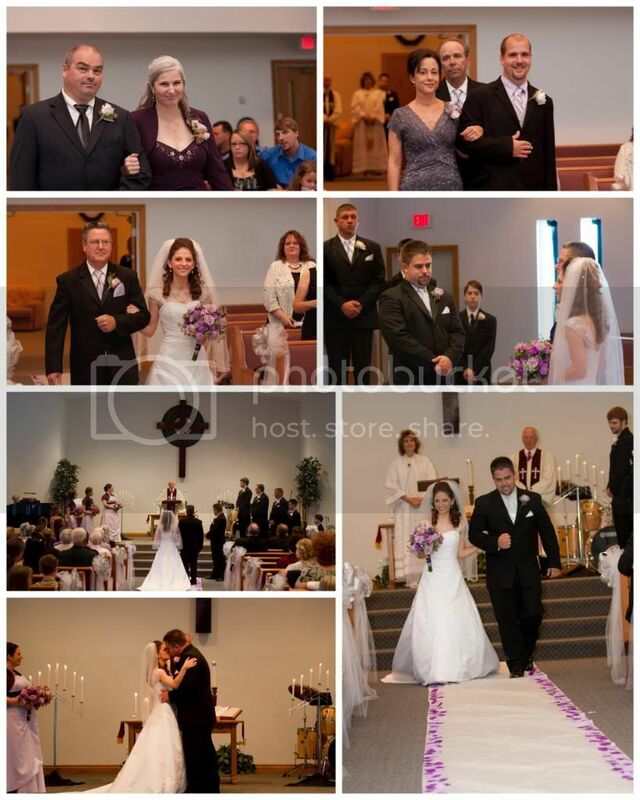 The aisle runner that they made by hand really looks great and the purple colors on it help to liven up her pictures. And what a great party it was! The food was delicious, and the music was great! Lou and Michelle's was a great place, with lots of room, and an elegant feel. Their staff was courteous, too! In addition, her bouquet stayed fresh and crisp all day, and it was HOT! 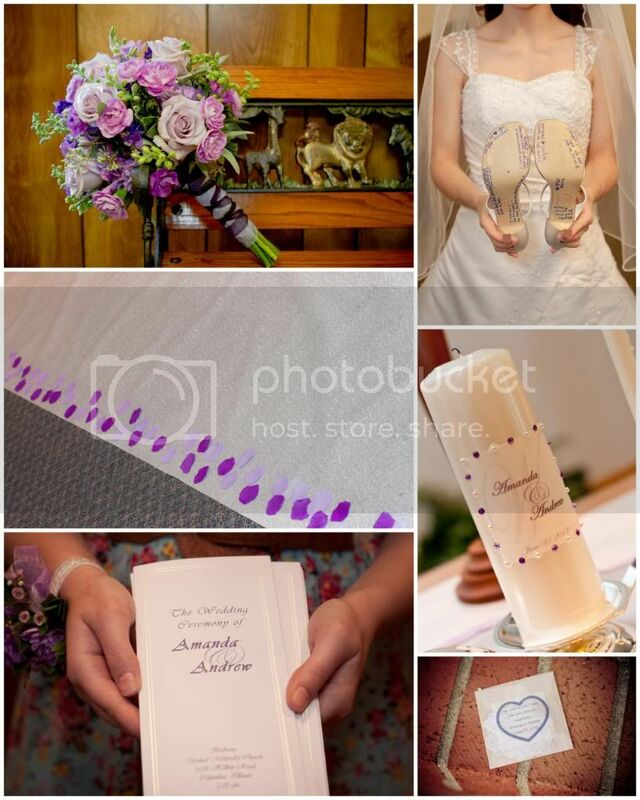 We melted in the steamy June air, but her flowers from Diehl's stayed perky and beautiful! What a great job they did, too! 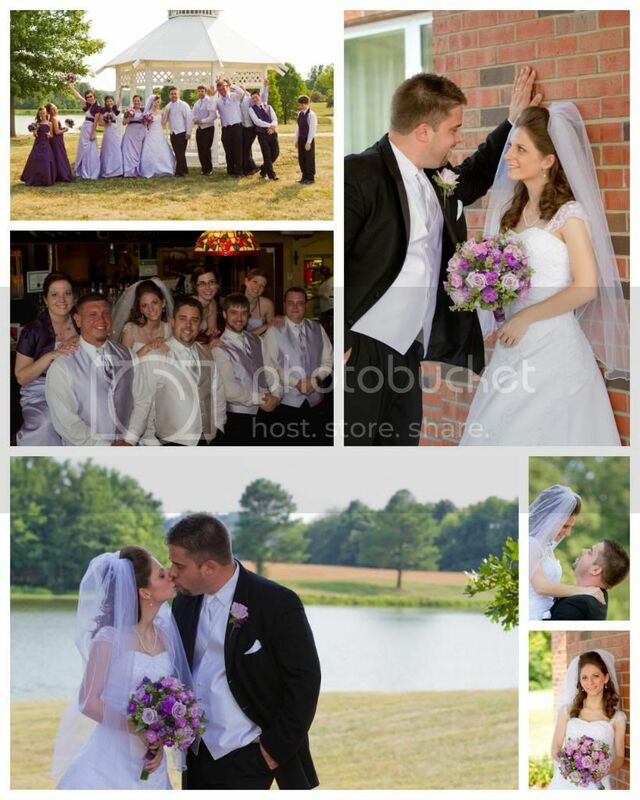 Thank you, Amanda and Andrew, for letting us be a part of your wedding day! We wish you many years of happiness! "I don’t know who started this unfortunate trend of having brides sit down to have their garter removed for the garter toss. The only thing that can happen in that situation is to have the groom look like he is swimming upstream under your dress in front of all of your family and friends. How embarrassing! No wonder brides are disillusioned with the garter toss." They go on to describe a much better approach, where the bride lifts her dress enough to show her leg, and her groom slides the garter down her leg. We had a bride a groom a few weeks ago, who were eager to try this new approach, and we wanted to share their picture here. I recommend visiting their blog, and reading their article. In addition, their blog is filled with other tips and advice for brides, in relation to garters. Thank you, Garter Glitz, for showing us the tasteful approach to removing the garter! Imagine...you're planning your wedding, and trying to decide where you would like to go between the ceremony and reception for your portraits - where will you want to go? Or, how about your engagement session? There are many options available, and here are a few good tips to help you get the best pictures. 1. Think about your relationship. Where did you meet? Where was your first date? Is there a special place where your fiancee popped the question? If there are any sentimental places, your photographer can try to capture some great pictures in a location that means a lot to you. 2. Think about your season. What time of year will you be getting married or having your engagement session? Is it going to be cold, hot, or comfortable outside. If it's going to be extremely cold or extremely hot, you might consider finding a location where you can spend some of your time indoors for pictures. St. Louis has quite a few beautiful locations available, but some require reservations or permits. It's a good idea to begin talking to your photographer about this early on, as they may have some suggestions or ideas for you. Don't wait until the last minute! 3. Think about your ceremony and reception venue locations. If you're going to be getting married downtown, and your reception is in south county, you probably won't want to drive to St. Charles for your pictures. Your destination and timeline will need to be considered, too. Even if you decide that you do want to drive so far out of your way, you will need to consider whether or not your timeline will allow for that. Once you have found the ideal place for your wedding pictures or engagement session, spend a little time checking to make sure that there are no special events planned for your date at that location. If you decided to go to the Missouri Botanical Garden, for example, you would want to be sure that it wasn't during their summer concert series. 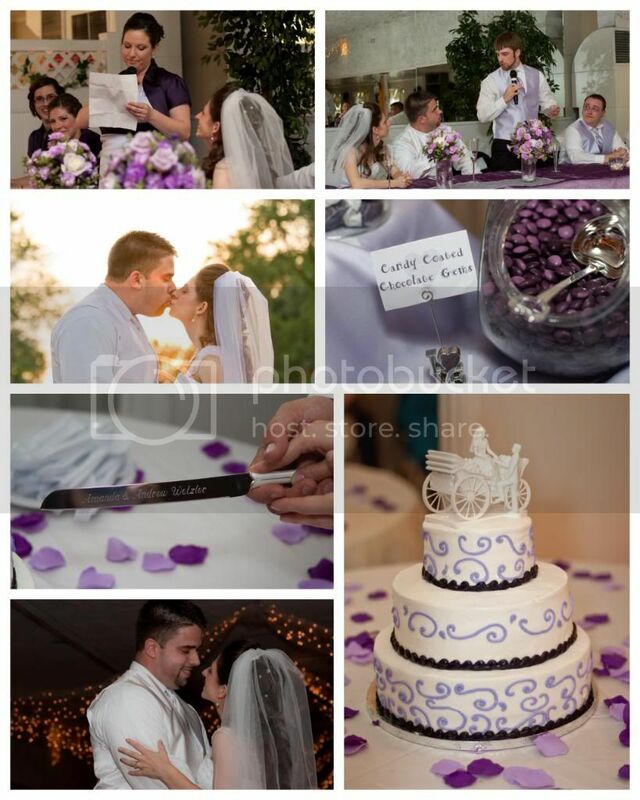 Thank you for reading our blog, and happy wedding planning!